Lobby: Mon-Fri 8 am - 5 pm, Sat 9 am - noon. Drive-up: Mon-Fri 7 am - 5:30 pm, Sat 9 am - noon. Oak Bank combines personalized attention & innovative services to meet the financial needs of individuals & businesses located throughout Madison. Oak Bank offers a Go Green interest earning checking account, mortgage home loans, business banking services, Internet banking, bill pay services, eXpressDeposit - remote deposit services, and wealth management. Oak Bank is a good friend to Fitchburg, Madison and the surrounding communities. 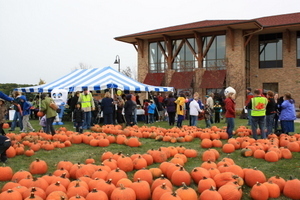 The annual Pumpkin Give-Away, held in October each year, has already become a Dane County institution that has provided thousands of dollars to local charities. 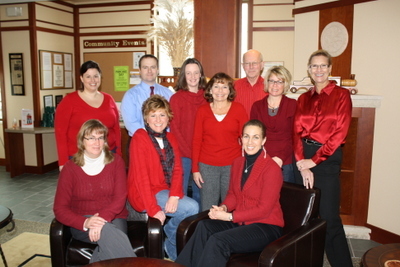 Oak Bank has become immersed in the Fitchburg community by involving itself with numerous events, projects and sponsorships. You can't be the best, if you're only the same. We realize that your banking needs are unique, which is why we?ll never recommend a ?one-size-fits-all? approach.